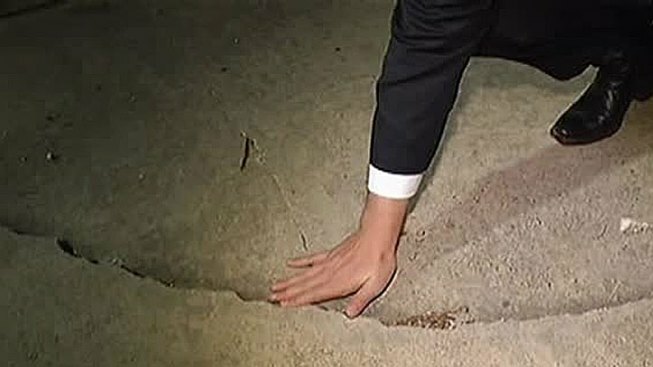 Some North Texans reported waking up a little earlier than planned Friday morning after an earthquake rattled their homes. At about 2 a.m., an 3.1 magnitude earthquake was detected by the U.S. Geological Survey about 11 miles north-northeast of Cleburne, or about 16 miles south of Fort Worth. The quake epicenter had a depth of 3.1 miles. Shortly after the quake, emails and phone calls began pouring into the NBC 5 newsroom. One viewer said the quake knocked pictures from the walls while another family said their entire house shook from the ground up. The early-morning quake was a shock to many in Johnson County who accustomed to the earth shifting beneath their feet -- or beds. "It was kind of frightening, yeah. It was different, definitely wasn't used to it. It felt like being on a boat in a bad storm," said Chris Stanford. "I thought Texas was known for tornadoes, not earthquakes." Despite earthquakes being uncommon here, it does seem that in recent years there has been an increase in ground movement in North Texas and along the Balcones Fault Zone. The fault zone, which is generally considered to be among the lowest-risk fault zones for earthquakes in the United States, stretches from San Antonio into Dallas and runs nearly parallel with Interstate 35. Whether the quakes are the result of drilling (as some have speculated) or Mother Nature, remains to be seen. No damage or injuries have been reported in connection with Friday's earthquake. NBC 5's Ben Russell contributed to this report.